Graduate transfer from Cornell whose career has been marred by injury but was a contributor to two Ivy League championship teams when healthy…adds much-needed, competitive depth to lineup. 2012: Named captain of Cornell squad but was unable to compete due to injury. 2011: competed in five meets and was a scorer for squad at HEPS and NCAA Northeast Regional, where his 10k time of 32:20.8 was good for 31st overall and second on squad…earned Cornell’s 5th Runner Award. 2010: did not compete due to injury, leading to medical hardship for entire year. 2009: was part of lineup throughout the season, including the HEPS. 2013: Outdoor – competed in two meets, highlighted by 30:52.12 10,000m at Penn Relays. Indoor – saw limited action but did record personal-best 5000m (14:26.63) to place sixth at Ivy Indoor Championships. 2012: Outdoor – saw action in four meets with a 10,000m best of 30:33.57 at Penn Relays. Indoor – missed entire season due to injury. 2011: Outdoor and Indoor – did not compete. 2010: Outdoor – registered three personal-best marks including NCAA East Regional qualifying 30:10.78 in 10,000m at Bucknell Bison Classic…placed sixth at Ivy Championships in 5000m (14:30.60)…also logged 1500m best of 3:56.30 at Cornell Invitational. Indoor – competed in four meets and set a 3000m personal-best (8:29.36) at Armory in New York. 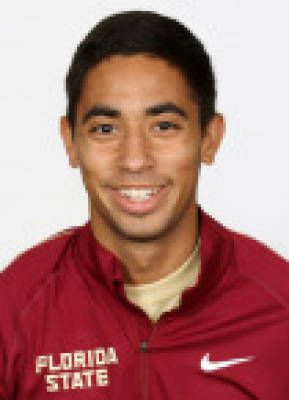 Was teammate of former Seminole Wes Rickman on cross country state championship Falcon High in Colorado…multiple all-state honoree in cross country and track…placed fourth at Nike Indoor National Championships as a senior in the 3200…graduated from the College of Arts and Sciences at Cornell…pursuing master’s degree in Finance at Florida State…born Sept. 15, 1990.